Go Bake or Go Home: Salty Pretzel Peanut Butter Chocolate BARS! 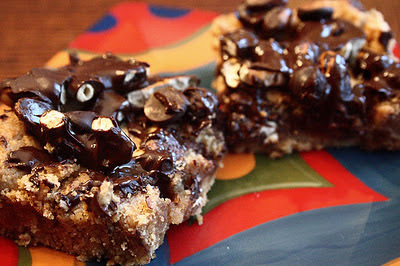 Salty Pretzel Peanut Butter Chocolate BARS! I just love a good pretzel! I think it's the crunch that I like most of all. But I hadn't been able to find any good wheat free ones. UNTIL... last week! Here in Toronto of course. Where you can find anything that your little heart desires! 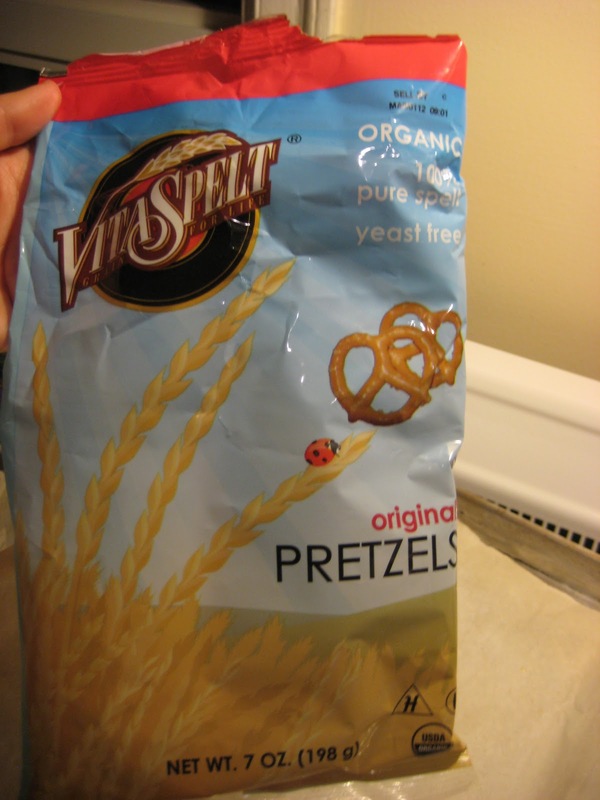 The ones I found were mini pretzels made by Vita Spelt. They were delicious! And just how I remembered them. When I saw them, I was immediately inspired to bake something sweet and salty. But I didn't quite know what.... So I put them back and decided that I'd come back to buy them when I knew. Or else I'd just take them home and snack on them and then nothing would ever get baked! So then I was flipping through one of my many library loans, The Vegan Cookie Connoisseur by Kelly Peloza, and came across this : Peanut Butter Chocolate - Covered Pretzel Bars ! It was a sign. I just HAD to make them! I ran out to the store to get the pretzels and got right to work. They were super simple to make! In fact, I was on the phone with my BFF for most of the time that it took me to throw these delicious bars together! Also, the ingredients are all things that most of you probably already have in your pantry/fridge! I was pretty good at following the recipe this time too! But a few minor changes were made. Instead of shortening, I used vegan butter. 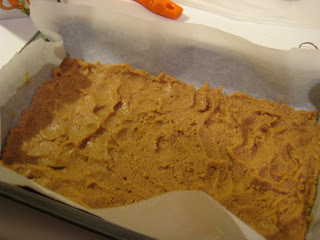 For peanut oil (I had run out), I used sunflower oil and in place of wheat flour, spelt flour! I also sprinkled a little fine and coarse sea salt over the finished dessert. I swapped some vegan white chocolate chips which you can buy here, for some of the dark chocolate chips called for at the end of the recipe. Instead of the soy milk that is called for in this recipe, I decided to try a new brand of almond milk! 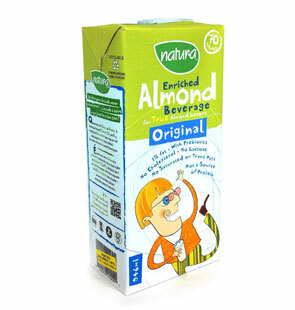 Natur-a now has a line of almond milk! Yay! The packaging is a little weird, but intriguing. I'm not normally a fan of almond milk, I find most brands to be too watery and thin and sometimes a little too salty. But Natur-a's milk was really good and one that I would definitely buy again! Anyway.... here's the recipe with my amendments and my version of the directions! Fold in about 36 mini, salted spelt pretzels and 1/2 cup roasted peanuts. Allow to harden while you continue with the recipe. Bake for 16-18 minutes, until the edges begin to brown. It will still be a little soft, producing a more cookie-like texture as opposed to a cake-like texture. Allow to cool while you break the chocolate covered peanuts and pretzels into pieces. Scatter the pieces of peanuts and pretzels along with 1/2 cup vegan white chocolate chips evenly over the top of the bars and gently press down. Sprinkle with some fine and coarse sea salt. About 1/4 tsp. 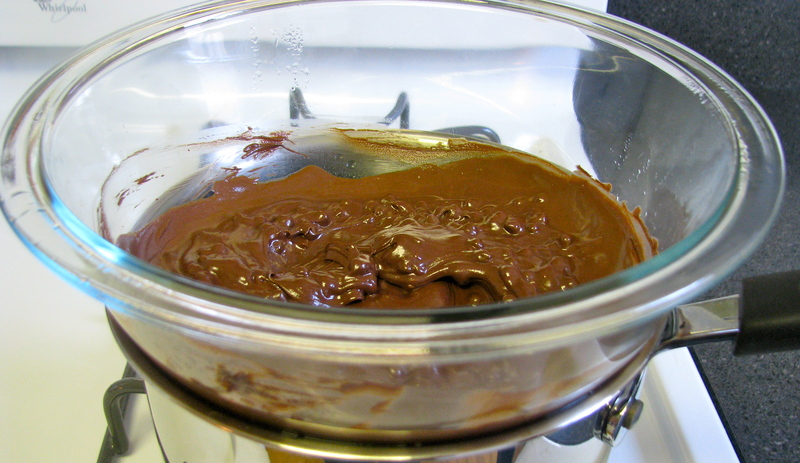 Stick the pan in the freezer until the chocolate hardens to prevent the pretzels from getting soggy. Remove pan from freezer and slice. PS: Next time I might think about adding some vegan mini marshies and maybe more nuts and pretzels!! These were basically the best things ever. EVER. I'm going to have to try making them myself!